Does praise offer more reward than a tasty treat? We ask the experts! 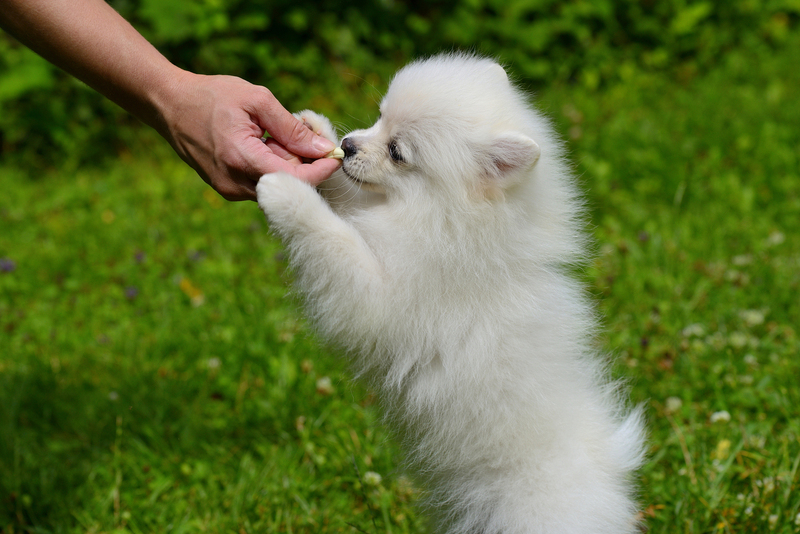 Finding the best reward for your pet may involve trying a few different things. To make your decision a little easier, here are some pros and cons to consider. It’s available anywhere at any time. We already offer praise to our animals; we just need to tweak its use. Praise can be given immediately — timing is everything. Some animals are simply not motivated by praise. If praise is given too late, the animal may not make the association between the command and the behaviour. Food is a primary reinforcer — it already has an innate biological value to all animals. Use of treats increases focus. You won’t always have treats with you. Using treats but not adjusting food intake may result in health problems. Your pet might not perform until he sees that you’ve got treats/food for him. Pets are capable of learning innumerable things throughout the course of their lives. Training doesn’t just stop after a skill is mastered — move on and find something else to challenge them with. Having an understanding of what rewards work best means spending time developing and nurturing a strong bond with your pet. And that is positive for everyone. When dogs ard yojng using treats is a great way to get them into doing tricks. With my dog Stormie every time she sat or lay down Syormie would be rewarded.